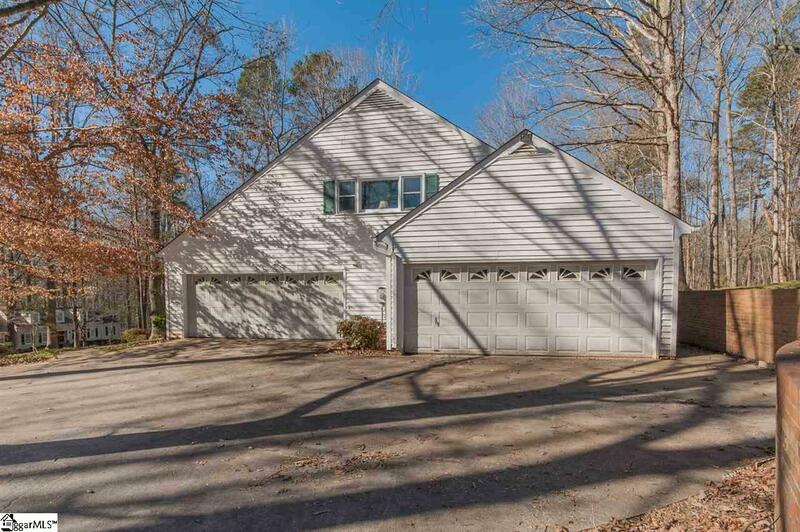 FOUR car GARAGE and gorgeous screened porch over looking a private backyard. 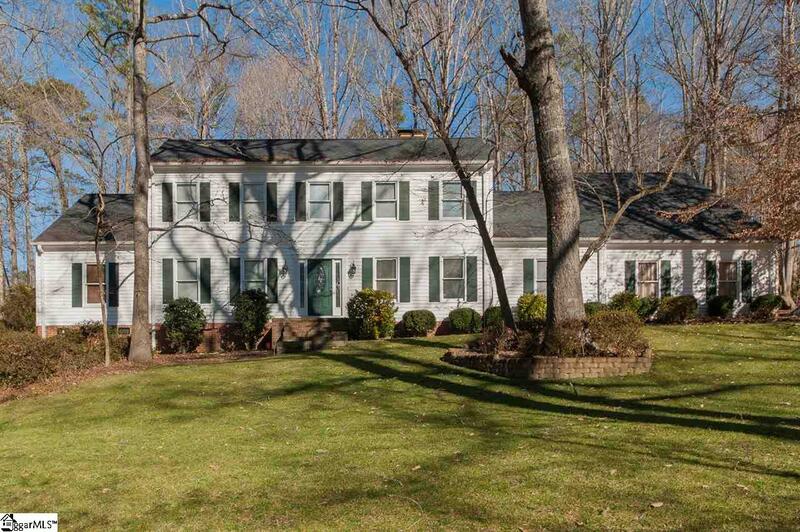 The beautiful one-owner home sits a large private wooded lot in an established Easley neighborhood. The curb appeal is fantastic! 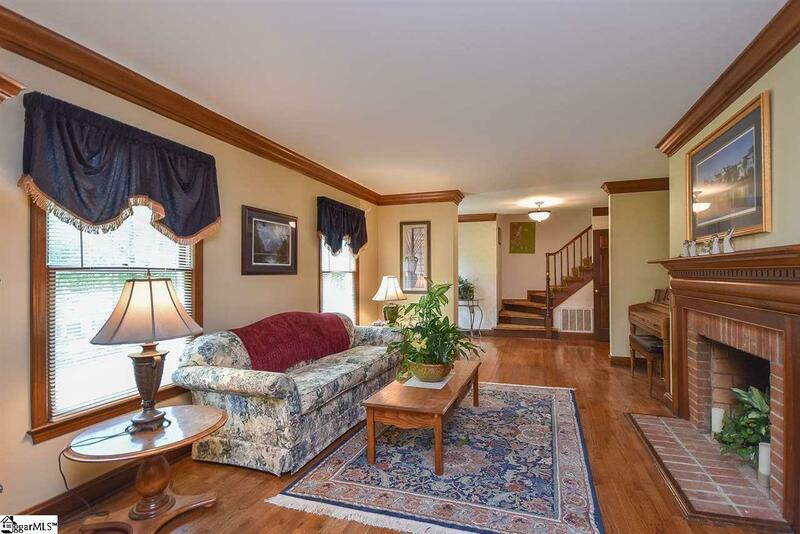 Inside on the first floor is a formal living room and dining room with hardwood floors. 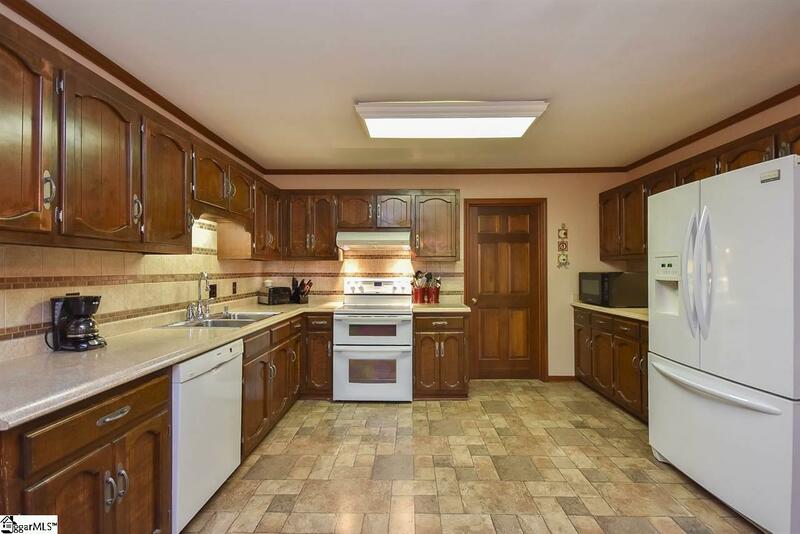 The eat-in kitchen has a tile backsplash, lots of counter space and double ovens. The den has a fireplace that can be set with a thermostat to keep the room warm with gas logs. This room opens to a gorgeous sunroom with vaulted pine ceilings. The master suite is on the main level along with two additional bedrooms and a second full bathroom. Upstairs are three more bedrooms with a third full bathroom, walk up access to the attic, a huge storage closet and a bonus room. There is a second set of stairs that leads from the bonus room to the laundry room and kitchen. The double garages allow for 4 cars or boat, camper, etc. Updates to the bathrooms include granite countertops, ceramic tile floors and updated lighting. Most of the bedrooms have walk-in closets. New ROOF 2017. New HVAC 2018. 10 minutes to downtown Greenville. Easy access to the new Highway 153 extension presently under construction. 3 minutes from Wal-mart/Kohls/etc. Sellers are offering a carpet allowance or will help with closing costs with an acceptable offer. Listing provided courtesy of Sharon Gillespie of Re/Max Moves Greer.